Pairs of triangular leaves densely packed on stems. Blue-green leaves get purple edges in full sun. Reddish stems will get woody as they age. Small purple flowers in mid summer open in late afternoon heat. Grows 8-10″ tall, will spread 6 feet wide. 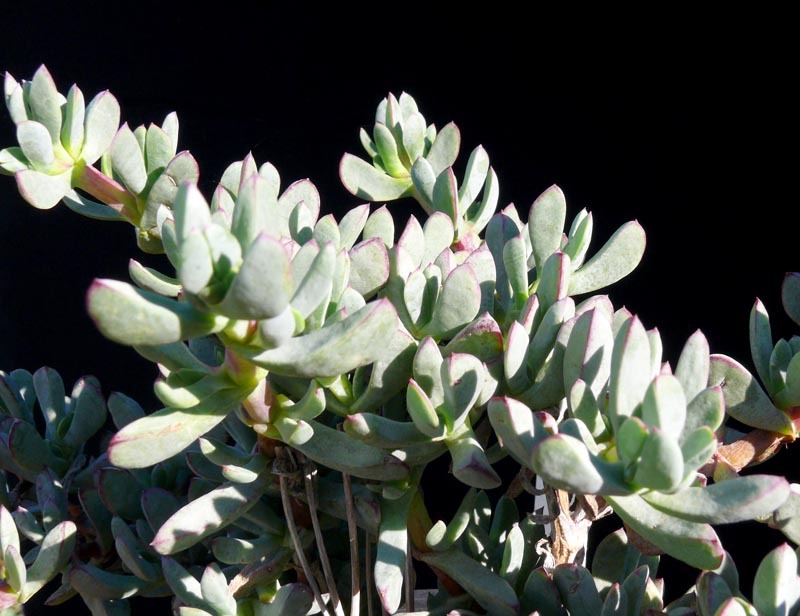 Propagate by taking cuttings from new, soft stem tips only.